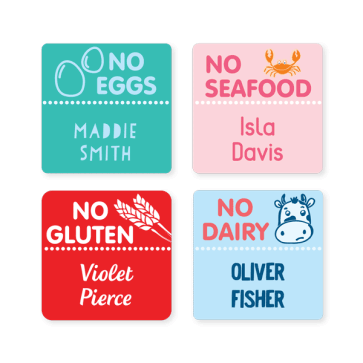 Our vibrant sticker labels will make sure that carers, teachers, sports coaches, friends and other parents in the community are aware of your child's allergy. 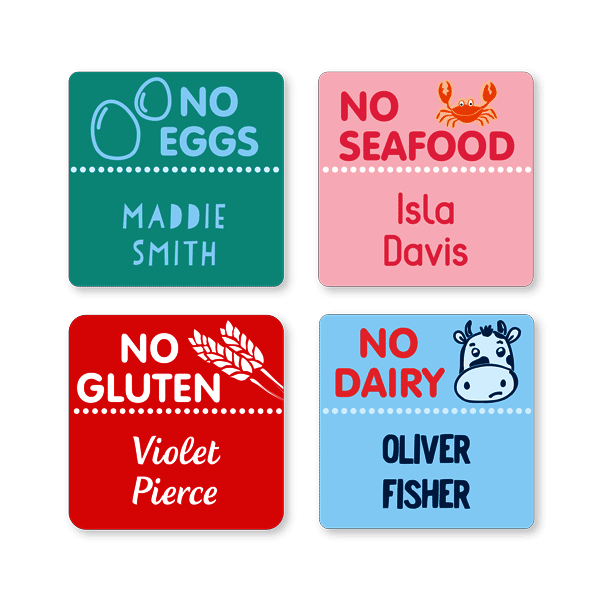 The labels also serve as reminders for your child and their friends to be careful before sharing food. Pop them on lunch boxes, bottles, crockery and more.